A long time coming. Introduced to developers in June and formally announced in October, Apple has said the 2013 Mac Pro will arrive in December. Now, according to a German retailer and a French fan site, we have two specific dates for its arrival. Apple’s long-anticipated and much commented 2013 Mac Pro is certain to be a game changer, though it’s far from certain whether that will be a good thing™. 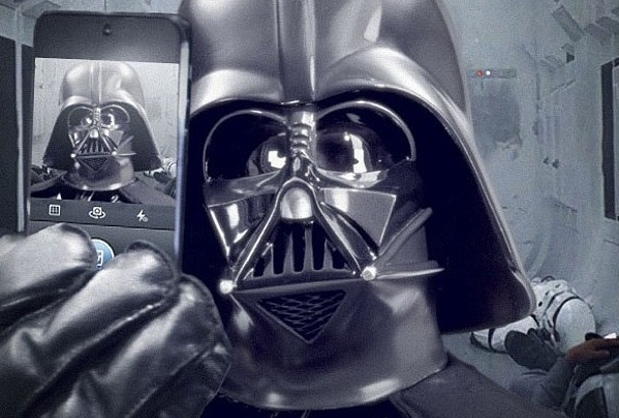 While some have gushed about its power, others have mocked its appearance, saying the 2013 Mac Pro looks like a black trash can or even Darth Vader’s helmut. Additionally, some have criticized the 2013 Mac Pro’s lack of upgradeability. However, Apple has said users will be able to upgrade the memory and storage, while pundits have noticed that the dual-graphics cards sit risers, meaning GPU upgrades are at least technically feasible. That said, the proof of the 2013 Mac Pro’s impact — good, bad or just meh — won’t be known until folks actually start using it. MacRumors has two takes on when that will happen. 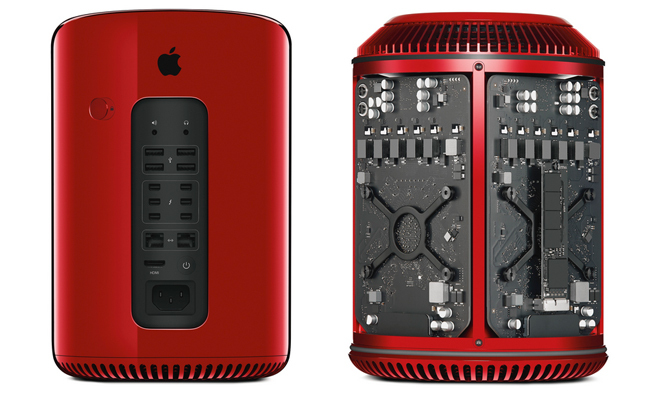 Jony Ive’s one-of-a-kind Red™ Mac Pro, which sold at auction for more than $977,000. German authorized Mac reseller, Conrad Electronic is saying the 2013 Mac Pro will arrive on December 16, which is a Monday. Meanwhile, French fan site MacGeneration tweeted last week that Apple’s compact and shiny pro desktop will hit retail on Wednesday, December 18. Long-time Apple watchers know that the company generally doesn’t ship new products on Mondays, though both dates could be right in that product could arrive retailer hands on Monday the 16th and then go on sale on Wednesday, the 18th. This mac user has already upgraded his desktop with a refurbished iMac. What about you? Will you be getting a new Mac desktop and will it be a 2013 Mac Pro?